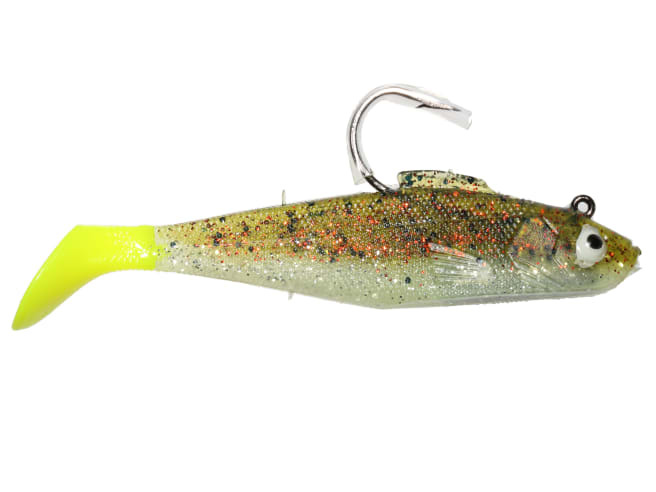 Uniquely colored to grab extra attention as the tail kicks, this is a sure-thing swimbait that any saltwater predator can’t resist. Rigging behind a popping float works wonders, and jigging to let the paddle tail kick will also trigger strikes. These baits always come speckled and flashy, so any predator that gets a sneak peek will be sure to come in for a closer look!